Summer is winding down, which means your schedule may be a little less open in the coming months. 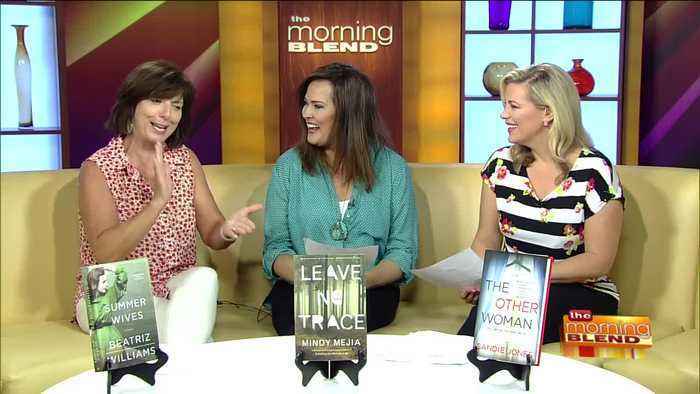 But Carole Barrowman says there's still time left in summer for reading a great summer thriller. Our book reviewer is back with her top five picks for a thrill before the end of summer! For more information on Carole and her own books, visit BarrowmanBooks.com. And see below for her reviews: 1. "The Other Woman" by Sandie Jones - Oh my, this has got to be one of the best I’ve read this summer. I loved everything about this scorching thriller about gaslighting (subtle psychological manipulation that makes the target begin to think they’re going mad) in the highest degree. It’s a Hitchcock thriller married to Bridget Jones’ Diary. "Leave No Trace" by Mindy Mejia - If you can only manage a staycation this Labor Day, then travel the Boundary Waters via this book. Set in Duluth and culminating in the Boundary Waters, this thriller has breathtaking settings and a narrator’s voice that’s fresh and original. Ten years ago, a father and son disappeared into the Boundary Waters and never returned. The mystery surrounding their disappearance is played out against the ominous nature of the Boundary Waters and the secrets it can hide. "Notes on A Nervous Planet" by Matt Haig - Sometime calm is what we need from a book rather than excitement… I don’t read many self-help books, but Haig’s blew me away with its honesty and personal compassion. He’s a great writer (he wrote one of my favorite novels “The Ridleys”) and his advice is heartfelt. If you’ve had a tough summer and you’re feeling a bit alienated or overwhelmed by the world, I think this book will bring you comfort. "The Ensemble" by Aja Gabel - If you love music (especially classical) and what is takes to be successful in that world intrigues you, this is your last thrill of summer book. It’s about ambition, passion, friendship, lies, betrayal and love among a group of friends trying to succeed as musicians. "The Summer Wives" by Beatriz Williams - Set in the summer of 1951 among the aristocracy in a remote island off the coast of New England, this story has everything you want in a summer read. A lush engaging story, lots of beautiful characters and conflicts, love and lust, swimming pools and cocktails.